Nose Filler results can be seen immediately. We will determine what requires treating and develop a plan with you. If something cannot be treated, we will try and be as realistic as possible. For nose filler treatments we will apply local anaesthetic cream on the area. This will sufficiently numb the skin, so that the injections are not painful. The needles used for dermal fillers are very thin, so this helps reduce pain. The dermal filler injections usually last 12-18 months. They are all fully biodegradable and will break down gradually over time. As the absorption times differ with individuals, how the area looks and feels is the best indicator that a top-up is needed. 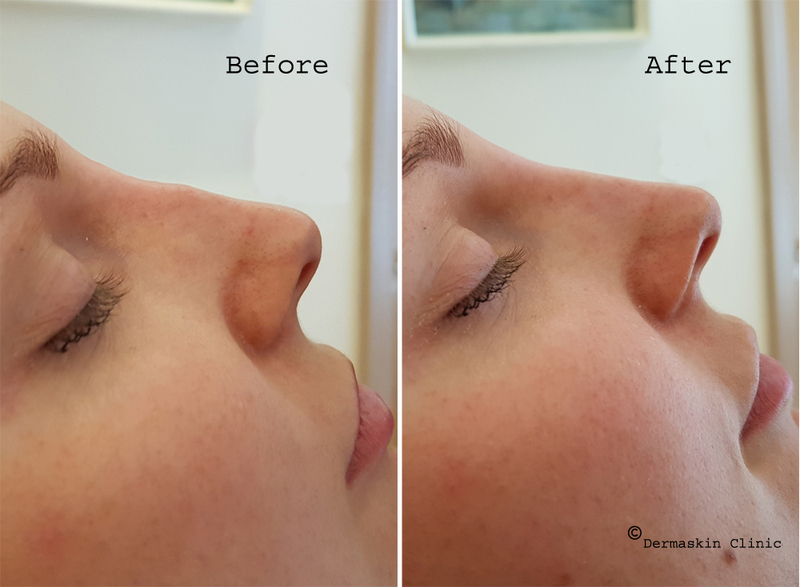 Natural looking results instantly with nasal bridge filler.